Deep muscle body aches and weakness, especially involving the hips and low back. Muscle twitching and involuntary contraction anywhere in the body, especially low back, hips and limbs. Osteoporosis, a common condition characterized by reduced bone mineral density and increased bone fragility. Those with osteoporosis are subject to easy body fractures, especially compression fractures of the spine, hip and rib fractures. It is usually seen in the elderly and women but possible to affect anyone. Osteomalacia, a bone-softening disorder that is characterized by muscle weakness of the hips, low back and shoulder girdle, and bone fragility. Osteomalacia can also result in easy fractures of the long bones and pelvis. Rickets, a childhood disease characterized by impeded growth and distortion of the long limb bones. There are two chemical forms of vitamin D that are slightly different from each other, known as D2 and D3. 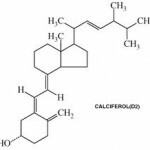 Vitamin D2 (ergocalciferol), is available in fortified foods, plant foods, and vitamin supplements. Vitamin D3 (cholecalciferol), is the “sunshine vitamin” form of vitamin D. It is made internally when the skin is exposed to ultraviolet (UV) radiation from the sun, as well as being available in fortified foods, animal foods (fish, eggs, and liver). Vitamin D is unlike most other vitamins. The body rather easily makes its own vitamin D when the skin is exposed to sunlight. But the body cannot make the other important vitamins needed for health and life. Because vitamin D is a fat-soluble vitamin it is stored in our fat cells for use as needed. It is constantly being used for calcium metabolism in most cells of the body in general, and for bone remodeling and rebuilding in particular. This constant usage means it must be constantly replenished, even during the darkest of winter days. Generally, making sure you have enough vitamin D does not depend on a dietary source from the foods eaten. Instead, almost all vitamin D found in the body originates as a result of exposing the skin directly to sunlight. For deficiency treatment it is effective to take a well balanced vitamin and mineral supplements with meals. Promotes calcium absorption in intestinal tract. Maintains adequate serum calcium and phosphate concentrations to enable normal mineralization of bone. Enables communication between cells throughout the body. Necessary for normal muscle tone. Important to a healthy skeletal system. This last function of keeping the skeletal system healthy refers to vitamin D involvement in bone growth and bone remodeling through the normal activity of specialized bone cells called osteoblasts (that build up bone) and osteoclasts (that remove bone material when needed). When a body has insufficient vitamin D to promote the activity of these bone cells, the bones can eventually become thin, weak, brittle, or misshapen. When vitamin D levels are adequate it prevents rickets in the young and osteomalacia in adults. Working with calcium, vitamin D also protects the elderly from osteoporosis. Regulation of growth of all cells in the body. Various neuromuscular functions; for normal brain/muscle activity. Various immune system functions; for normal resistance to disease. Modulation and reduction of inflammation throughout the body. Most commonly, a deficiency is the direct result of an inadequate or poor diet that lacks the desired nutrients. Less often a vitamin deficiency can also be caused by impaired absorption through the stomach or intestinal lining during digestion. Less often due to increased requirement of a nutrient due to pregnancy or times of increased metabolism as when stressed or working hard. Occasionally a deficiency of vitamins is associated with increased excretion, as when prolonged diarrhea occurs, from a parasitic infection, Chron’s disease or similar intestinal conditions. Exposure to sunlight is limited. Poor diet over a long period of time. Kidney disease prevents conversion of the inactive for of vitamin D to the active form. Digestive tract disease prevents absorption of vitamin D.
Milk allergy and lactose intolerance. The best and most accurate way to identify an actual vitamin D deficiency is with a doctor’s blood test that measures the vitamin level in your blood. Surprisingly accurate test kits to determine vitamin D levels are available online and at the local drugstore that can also be used at home. However, even without testing you can be fairly certainly you have a vitamin D deficiency if you frequently display a weakened immune system since the function of the immune response is greatly dependent on vitamin D activity. Based on the findings and rationale of a spate of recent vitamin D research, it could be taken that a wide variety of health problems could be interpreted as vitamin D deficiency symptoms. Muscle weakness – Michael F. Holick, a well-known vitamin D authority, opines that muscle weakness is often associated with variable levels of vitamin D deficiency. He explains this correlation on the basis that for proper skeletal muscle function to occur the muscle vitamin D receptors must be filled or engaged with vitamin D.
Colds and flu – An intervention study reported in the Cambridge Journal of Medicine explains that a vitamin D deficiency predisposes children to a variety of respiratory diseases (asthma, upper respiratory infection, sinusitis, flu). Further, this same study showed that when vitamin D deficient children are given vitamin D supplementation and exposed to sunlight their incidence of respiratory infections is reduced. Adequate vitamin D levels are just as important for children as they are for adults. The Journal of Clinical Endocrinology and Metabolism has reported a study that demonstrates that children, especially those who are overweight, with low levels of vitamin D have a greater incidence of developing insulin resistance that will likely progresses to diabetes by early adulthood. Periodontal disease – For the last 20 years dentists have known that those suffering chronic gum disease (gingivitis) with inflammation, pain and gum bleeding can enhance recovery and reduce symptoms by taking vitamin D. By raising vitamin D levels the production of the immune factors defensins and cathelicidins are increased. These chemical are thought to enhance anti-microbial activity of the immune system, thus lowering the number of bacteria found in the mouth. Asthma – Japanese research revealed that the frequency and severity of asthma attacks in school children were both significantly lowered in subjects taking vitamin D supplementation at 1200 IU/day. Psoriasis – The Journal of Clinical and Aesthetic Dermatology reports in an article, The Rationale behind Topical Vitamin D Analogs in the Treatment of Psoriasis, that topical vitamin D has become an integral part of treatment of psoriasis. This article cites clinical experience and multiple studies in which psoriasis treatment with topical vitamin D has proven useful when used as a solo therapy or in combination with other medication. Diabetes – A long term study conducted in Finland showing the effects of early vitamin D supplementation on the development of diabetes was reported in Lancet.com. In this study 10,366 children were given 2000 IU (international units) of vitamin D3 during their first day of life. These same children were monitored for 31 years in regard to development of diabetes and diabetic tendencies. In all of these test subjects the risk of type 1 diabetes was shown to be reduced by 80 percent. Chronic kidney disease – Holick et al reports that patients with advanced chronic kidney diseases are typically unable to convert the inactive for of vitamin D to the active form of vitamin D. This is especially true of those who are required to use kidney dialysis. 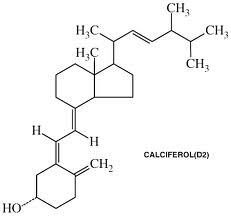 When these patients take one 25-dihydroxyvitamin D3, or a calcemic analogue of it to support normal calcium metabolism, they demonstrate a decreased risk of bone disease of renal origin as well as better regulated parathyroid hormone levels. Schizophrenia and Depression – These disorders have been linked to vitamin D deficiency. In a preliminary study, it has been demonstrated that by maintaining adequate vitamin D levels among pregnant women and later during the life of those children they delivered mental health could be statistically improved. The inference is that the vitamin D brain receptor integral to normal brain development and mental function was enhanced later in life by proactive vitamin D supplementation. Cardiovascular disease – Harvard University research conducted among nurses found that women with vitamin D deficiency had a 67 percent increased risk of developing hypertension and/or congestive heart failure. Cancer – Researchers at Georgetown University Medical Center suggest a connection between high vitamin D supplementation and reduced risk of breast cancer. At a meeting of the American Association for Cancer Research, researchers commented on their findings that increased vitamin D intake appears to be linked to a 75 percent reduction of cancerous tumor growth and 50 percent reduction in tumor development in those women already having cancer. With special interest the study noted the apparent ability of vitamin D supplementation to help rate and severity of breast cancer development and growth, especially in those women with estrogen-sensitive breast cancer. Reducing frequency and severity of cardiovascular disorders. Decreasing inflammation, as determined by decrease in levels of C-reactive protein. Reducing risk and severity of allergies in children and adolescents. Decreasing dental cavities by 47 percent after taking vitamin D supplementation. Possibly helping with erectile dysfunction (ED) by way of improvement of cardiovascular disease factors. Regulation of blood cholesterol levels. Decreased risk and severity of osteoarthritis. Possibly helpful in prevention of fractures and reducing the risk of fall injuries in the elderly. Possible benefit of vitamin D as therapy for multiple sclerosis and tuberculosis. Darker skin pigmentation absorbs less sunlight and reduces the amount of vitamin D produced. Time of the year – easier to get sunlight in the summer as compared to winter. Work schedule of the individual and type of work performed – office worker compared to outdoor worker; daytime worker compared to nighttime worker; lifeguard compared to a beekeeper. Location – living in northern climates compared to living in southern climates. While vitamin D can be increased by exposure to the sun, excessive exposure can damage the skin and increase the risk of skin cancer. Vitamin D in the blood can be rapidly increased by tanning bed usage, but the high ultraviolet (UV) radiation is not prudent because it is a known carcinogen. In the U.S. excessive UV exposure is directly responsible for most of the annual 1.5 million skin cancers and 8,000 deaths due to metastatic melanoma. Vitamin D is a fat-soluble vitamin that requires fat for intestinal absorption. Therefore, greatest vitamin D absorption of vitamin supplementation takes place when taken with meals with a high fat content. Overweight people tend to not absorb or metabolize vitamin D very well, for reasons not established. Thus, an obese person would likely need to use longer sunlight exposure or take higher supplementation to raise tissue levels of vitamin D.
Children, one to 18 years of age – 2,000 IU/day of vitamin D2 or vitamin D3 for a minimum of six weeks or with 50,000 IU of vitamin D2 once a week for a minimum of six weeks, followed by a maintenance vitamin D dosage of 600-1,000 IU/day. Adults – 50,000 IU/day of vitamin D2 or vitamin D3 once a week for a minimum of eight weeks, followed by a maintenance vitamin D dosage of 1,500-2,000 IU/day. Obese patients, those patients with malabsorption syndromes or taking affecting vitamin D metabolism – a higher dosage of vitamin D, in the range of two to three greater than for an adult to treat vitamin D deficiency, followed by a maintenance vitamin D dosage of 3,000-6,000IU/day. The major source of vitamin D comes from exposure to sunlight. It is suggested that 10-15 minutes of sun exposure at least two times per week to the face, hands, arms, or back without sunscreen is usually sufficient to meet your needs. There are many factors that can alter this so relying solely on the sun may not be enough. Only a few foods naturally contain vitamin D. The amount found of it in food is not enough to treat a state of deficiency, unless combined with a schedule of adequate sun exposure. Salmon, fresh (wild or farmed) or canned has 600 to 1,000 IU/vitamin D.
Shiitake mushrooms (fresh or sun-dried). Milk, fortified with vitamin D.
Orange juice, fortified with vitamin D.
Cheese, fortified with vitamin D.